LED Bulbs have a lifespan and electrical efficiency that is several times better than incandescent Bulbs. Meant for stand-alone off-grid solar systems tailor made to specific customer needs. Rainwater harvesting will improve water supply, food production, and ultimately food security. E-Waste gives the obsolete electrical a new life and a new function – that of saving the Environment on earth. Build an innovative organizational structure & create a Brand of Trust. The future of businesses will be in people-intensive, skill-intensive & job-intensive sustainable solutions addressing societal concerns. Establishment of a wide-spread and robust Marketing, Sales & Service structure primarily dealing in environment friendly products, services and capacity building solutions. The future of businesses will be in people-intensive, skill-intensive & job-intensive sustainable solutions addressing societal concerns. The future bottom lines would be – Maximization of Social, Environmental and Economic well-being, all together. 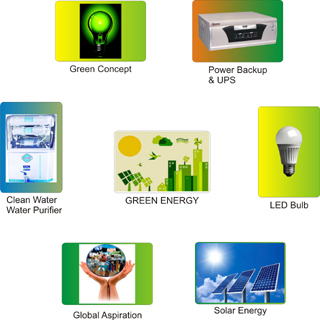 Recognizing the above reality, this new venture (MIECO SOLUTIONS) aims at establishment of a wide-spread and robust Marketing, Sales & Service structure primarily dealing in environment friendly products, services and capacity building solutions. Copyright © 2015 Mieco Solutions. All Rights Reserved.